China will give 500 million yuan (64 million euros) for a BRICS economic and technology cooperation plan. Chinese President Xi Jinping says there will also be the equivalent of a further 3.3 million euros for projects at the BRICS countries’ New Development Bank. The announcement comes amid questions over the relevance of BRICS and China’s commitment to its New Development Bank (NDB) in light of the Belt and Road initiative and the China-led Asian Infrastructure Investment Bank. That BRICS countries should increase cooperation in sectors such as trade and investment, monetary and finance and sustainable development. 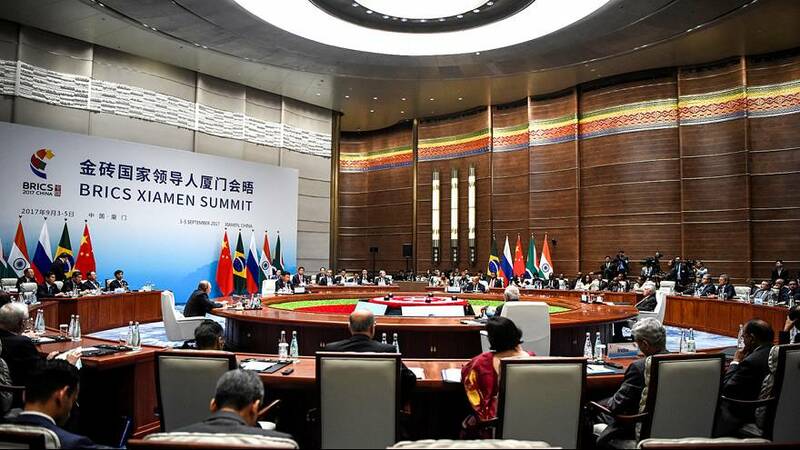 “We should redouble our efforts to comprehensively deepen BRICS partnerships and open BRICS cooperation,” he said during a plenary session at a BRICS leaders’ summit in the southeastern Chinese city of Xiamen. The BRICS group of emerging economies comprises Brazil, Russia, India, China and South Africa. The heads of state have gathered in Xiamen, giving host China its latest chance to position itself as a bulwark of globalisation in the face of US President Donald Trump’s “America First” agenda. *What is the “Belt and Road initiative”? The newly-announced funding plan pales into insignificance in comparison to China’s $124 billion dollar (104 billion euro) pledge earlier in May for Xi’s own Belt and Road initiative. It aims to expand links between Asia, Africa, Europe and beyond as a new way to boost global development.